It’s the end of New Year’s Day, and I am pondering resolutions. I should have probably already made some, but the end of 2013 took over my heart, and I am a little behind. My husband’s grandmother passed away two days before my sweet mother. We attended two funerals in one weekend. Since we had to travel and plan services, I took the last seven days of the semester off, which means I missed reviews and final exams and calculating semester grades. I have a lot to do. And I’m having a hard time feeling like doing it. But I will. And as I’m thinking about my resolutions I know I need to help my students set some, too. So many need to read more, write more, do more. And I only have one more semester to help them learn. So I am going to slow down, be more purposeful in my conversations with students, take more time for allowing them to talk, express, emote. I am going to extend writing time, allow more hours to create and polish and publish–instead of rushing to meet the end of a grading period like I always seem to do. I am going to keep filling my award-winning-books-only bookshelf and challenge advanced students to take on more advanced texts. And Kelly said, “I hope you all are making some New Year’s REVOLUTIONS! Not resolutions because that is lame…And revolutions are big. Make it a year to remember with me! Next Tuesday my students and I will be back in the classroom. We will talk about being more resolute in our learning, more intentional as we learn together this spring. We’ll set some new goals. And if I can figure out how to get students to do all this grading (the one thing that bugs me the most about teaching), well, that will be truly revolutionary. 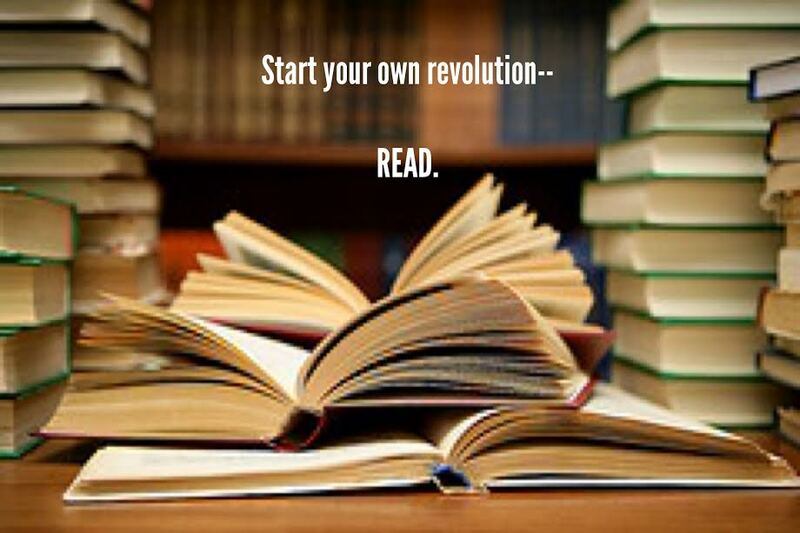 What are your New Year’s Revolutions? Your daughters have such wonderful, humorous, and important insight! Bringing in the new year with such gumption and practicality is refreshing! Thank you for sharing!